Spectrum Resorts guests receive complimentary access to the Clubhouse. The outdoor pool at the Clubhouse is the hub of water fun and activities. 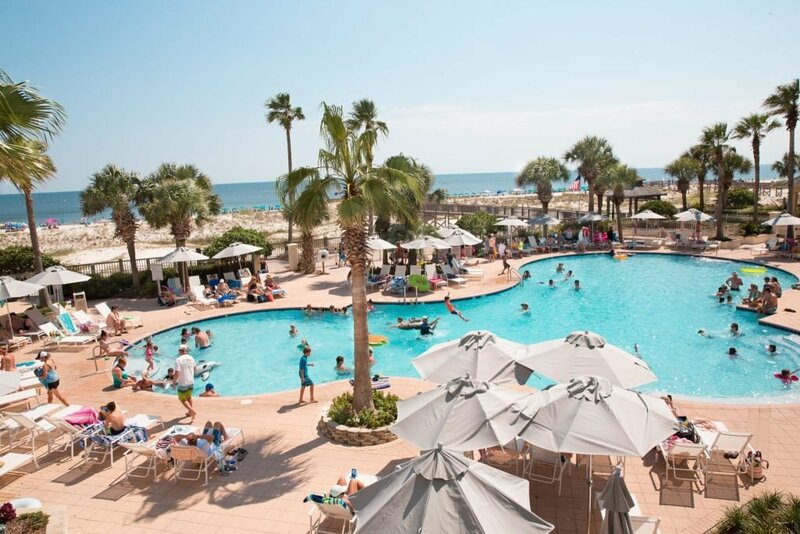 With the nearby Gulfside Bar & Grill, as well as cabana rentals, you have everything you need to spend a relaxing day by the pool. Poolside service is available seasonally offering a wide variety of food and drink options. Here, stay in your chair and flip up your flag for service. All you have to do is enjoy the experience. The outdoor pool is heated seasonally during high occupancy weeks in March and April, and ranges from three to five feet in depth. There is also a children’s pool, and at one and a half feet deep it’s the perfect size for babies and toddlers. Leave your towels in your room and use ours. 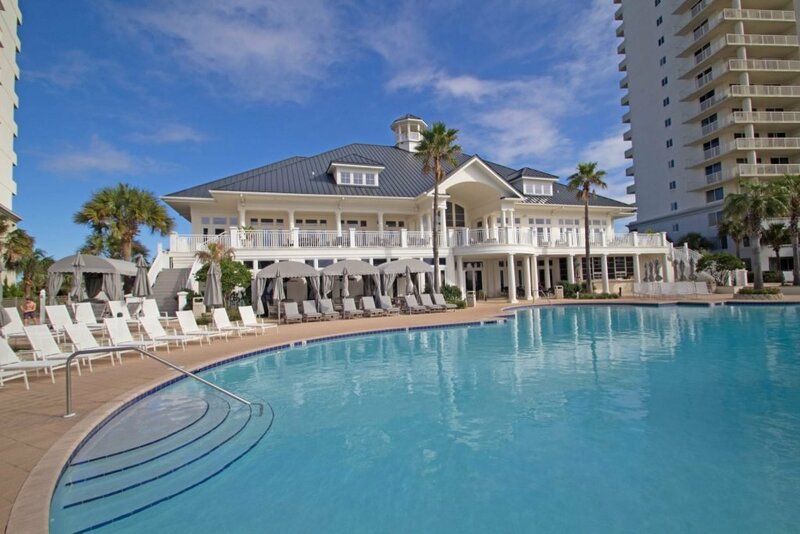 Spectrum Resorts provides towels to guests using the Clubhouse facilities, pools and hot tub. All we ask is that you leave them at the Clubhouse, so they will be freshly laundered for your next visit. Private cabanas are also available for rent at the Clubhouse Pool and come stocked with fresh fruit and cold water.